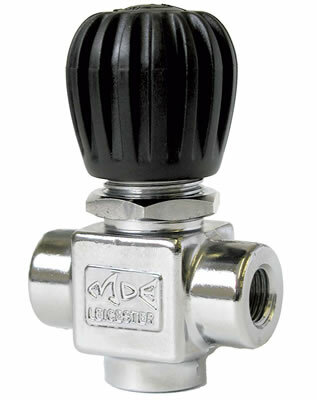 The range of MDE Line Valves and Stop/Vent Line Valves have a maximum working pressure of 414 Bar/6000 PSI, and provide mounting versatility – either inline or as part of a panel using the included locknut. H013800 – High quality chromed brass Line Valve, with 1/4 BSPTF inlet and outlet, offering oustanding reliability through simple design. 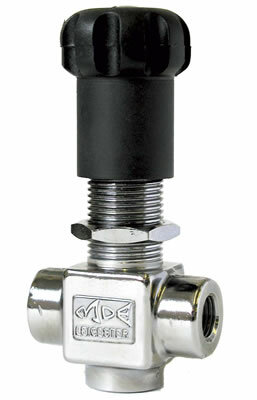 H031200 – High quality chromed brass Stop/Vent Line Valve, with pull-to-vent handle and 1/4 BSPTF inlet and outlet. Venting action releases only the air between the cylinder and valve, keeping the pressure to your line and panel.